It’s before 6am in Tambor Bay, Costa Rica. The sun has just risen and the air is calm and cool, the sky a pinkish haze dusted with a few low clouds reflecting in the nearly silent bay; silent that is, all but for the songs and calls of hundreds of species of birds that inhabit the area. On Friday and Saturday, January 10th and 11th, Tambor Bay Birders association hosted one of their many bird counts in the area. With a regular base of about 12 birders in the association, they form groups with other members and volunteers who then split up and explore trails surrounding the bay to identify and record the names of any birds they spot. 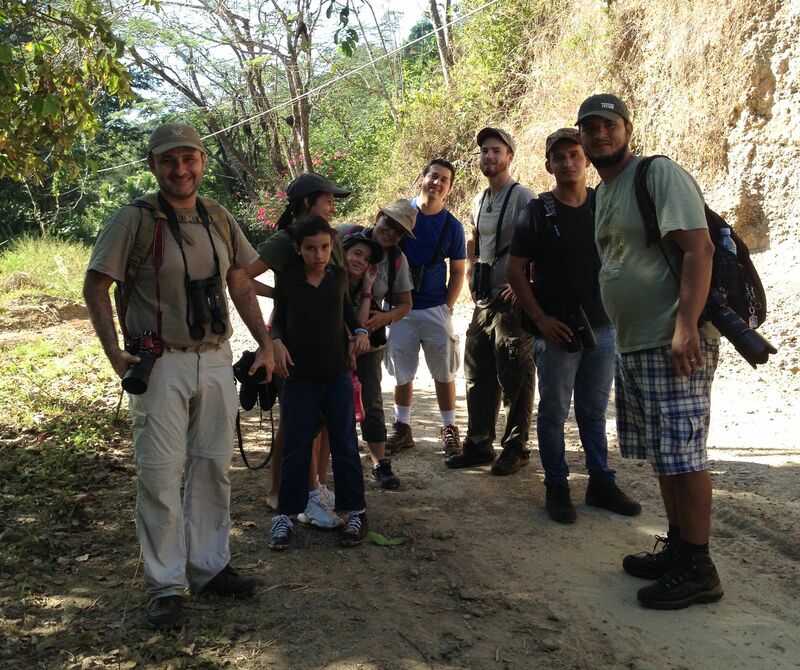 We had the honor of sharing in the count on Saturday, setting out from the Tambor Tropical Hotel with a group of about 20 participants; a combination of professionals, avid bird watchers and novice bird lovers both from the area and abroad who excitedly point out any fluttering wings or brightly colored flying objects. After a day of meandering through various trails the groups reconvened to determine the collective results of their findings. In this case the count totaled nearly 200 bird species, ranging from more common ones such as the Long-tailed Manakin, to more rare species such as the Mangrove Hummingbird endemic to only the Pacific of Costa Rica. 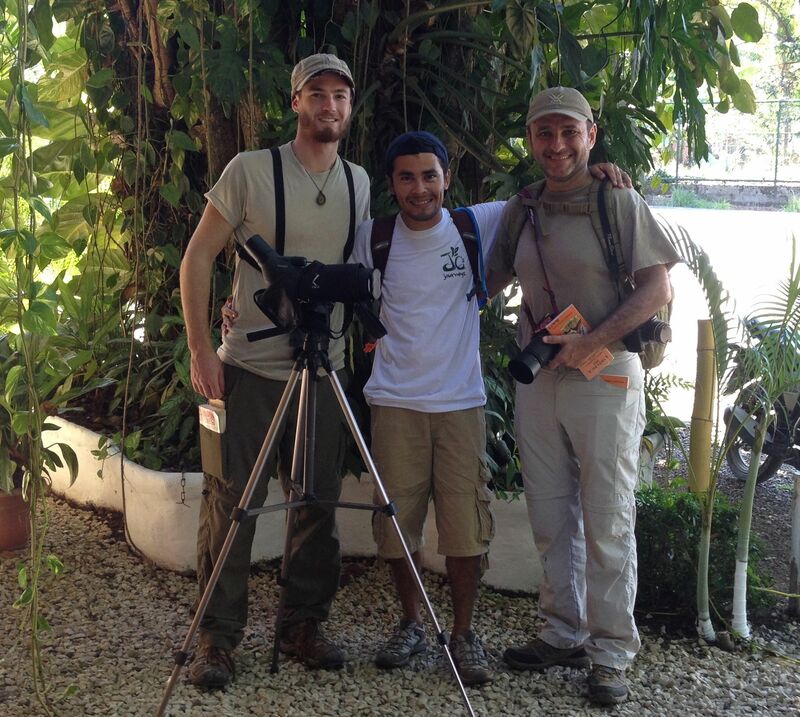 *Special thanks to Juan Carlos Cruz, Nick Hawkins and the rest of the Tambor Bay Birders for inviting JC Aguirre of JC’s Journeys to participate in this count. *Be sure to check out our bird watching tour Bird Lover’s Morning. This entry was posted in Costa Rica, Nature, Travel and tagged Bird Count, Bird Watching Hikes, bird watching in costa rica, Bird watching in Tambor, conservation, costa rica, Exotic Birds, family activities in costa rica, JC's Journeys, montezuma birdwatching, nature, Nick James, Puntarenas, Tambor Bay Birders, Tambor Tropical Hotel, Travel, Travel and Tourism. Bookmark the permalink.